Fabry disease is a health problem that causes fatty materials to build up in the blood and blood vessels. 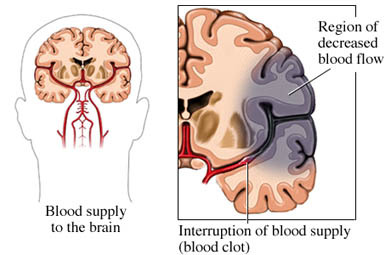 The buildup slows or blocks blood flow to organs. Fabry disease is caused by changes in a gene. The faulty gene passed on by the mother. Males with the faulty gene will have the disease. Females who have a single copy of the gene are called carriers. Most will not have any symptoms, but they can pass the gene to their children. Some women may be as affected as men. You are at risk if you or someone in your family has this disease. You will be asked about your symptoms and health history. A physical exam will be done. Diagnosis is usually made based on symptoms. Your blood may be tested. This can confirm the disease. There is no cure for Fabry disease. There is no known way to prevent Fabry disease. Consider counseling if you or someone in your family has Fabry disease. The counselor can show you the risk of passing it on to your child. Fabry disease. EBSCO DynaMed Plus website. Available at: http://www.dynamed.com/topics/dmp~AN~T114633/Fabry-disease . Updated March 9, 2017. Accessed July 2, 2018. Martins AM, D’Almeida V, Kyosen SO, et al. Guidelines to diagnosis and monitoring of Fabry disease and review of treatment experiences. J Pediatrics. 2009;155(4 Suppl):S19-S31. NINDS Fabry disease information page. National Institute of Neurological Disorders and Stroke website. Available at: https://www.ninds.nih.gov/disorders/all-disorders/fabry-disease-information-page. Accessed July 2, 2018. 7/13/2014 DynaMed Plus Systematic Literature Surveillance http://www.dynamed.com/topics/dmp~AN~T114633/Fabry-disease . Laney DA, Bennett RL, Clarke V, et al. Fabry disease practice guidelines: recommendations of the National Society of Genetic Counselors. J Genet Couns. 2013;22(5):555-564.